Blend all ingredients together until the desired consistency is reached. * This smoothie can be made with freshly squeezed juice from a POM Wonderful Pomegranate or by using POM Wonderful 100% Pomegranate Juice. To juice the pomegranate, cut it in half (as you would a grapefruit) and juice using a citrus reamer or a juicer. Pour mixture through a cheesecloth-lined strainer or sieve. 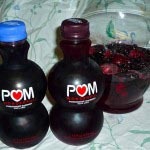 One large POM Wonderful pomegranate will produce about 1/2 cup of juice. Shake all drink ingredients with ice to chill. Mix in a bowl, one part ground cinnamon and one part granulated sugar. Moisten the rim of a martini glass by swiping a slice of orange around the rim. Dust glass rim with the sugared cinnamon mixture and decorate with a spiral of orange. Kenwood Vineyards achieved a rare double win at the 2012 Pacific Coast Oyster Wine Competition. The 2011 Kenwood Sonoma County Sauvignon Blanc and 2011 Kenwood Russian River Valley Pinot Gris were among 10 wines to receive the prestigious �Oyster Award� when results of the competition were announced on April 30, 2012. While it marks the seventh time a Kenwood Sauvignon Blanc has received an �Oyster Award� in the competition�s 18-year history, Kenwood Vineyards now becomes one of a handful of wineries with multiple �Oyster Award� winners in a single year. The Pacific Coast Oyster Wine Competition, sponsored by Taylor Shellfish Farms of Shelton, Washington, annually invites West Coast wineries to submit their best �oyster� wines for judging by panels of food and wine experts. Each wine is tasted �blind� together with at least one succulent oyster. The judges sample the oyster, sip the wine and rate the �bliss factor� � the wine�s affinity with the oyster. The 2012 Pacific Coast Oyster Wine Competition finals were held in Los Angeles, San Francisco and Seattle during the week of April 23rd. Results from the three cities were combined to select the 2012 winners. A total of 101 wines were entered in the 2012 Pacific Coast Wine Oyster Competition. The 2011 Kenwood Sonoma County Sauvignon Blanc and 2011 Kenwood Russian River Valley Pinot Gris were two of just three California wines to win an �Oyster Award� this year. Vibrant and racy, the 2011 Kenwood Sonoma County Sauvignon Blanc combines pink grapefruit, lime, and herb character with a crisp, lingering finish. The 2011 Kenwood Russian River Valley Pinot Gris showcases aromas and flavors of fresh peach, lemon and almond in a beguiling barely off-dry style. Established in 1970 in the beautiful Sonoma Valley, Kenwood Vineyards produces premium wines that showcase Sonoma County�s world class vineyards. According to Christian Gavin, owner of Oreana, the Oreana (o�rea�na) name comes from the grand ranching days of California�s Central Coast. It is a term used by cattle ranchers for an unbranded calf that strays onto your property and is therefore yours to keep. The name is reminiscent of found treasure or the renegade spirit of this beautiful region and the wines produced here. This winery, inviting tasting room and local center for social sipping belong to Christian and Emily Gavin. It is a family business located in the "Funk Zone" of the City of Santa Barbara, and began its operation in a former tire shop eight years ago. The tire shop proved to have some great winemaking attributes, including concrete floors and a brick structure that provided an ideal climate control for barrel storage. 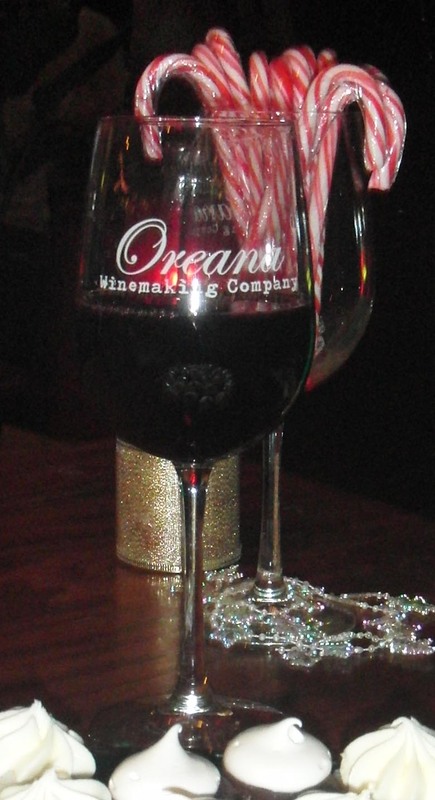 The wine room is always alive with people enjoying a glass of wine or selecting a bottle from the many Oreana wines that are displayed along the walls of the rustic tasting venue. Oreana has become known for the fantastic parties they host and the place is a favorite rental destination for party planners. The outside patio and back room provide ample space for a huge crowd or an intimate dinner tasting. 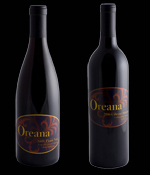 Oreana has become known for their great wines; from small batches of Pinot Noir to sizeable Red Table Wine it�s all good. Their current production is about 10,000 cases but some lots are as small as 20 cases. According to Gavin, their award winning Pinot program and Sparkling wines continue to generate rave reviews from Wine Spectator, the Wall Street Journal and Wine Enthusiast. Wine selections include 2009 Oreana Chardonnay, Oreana Blanc de Noirs, 2009 Oreana Malbec Rose, 2009 Oreana Petit Deux (50% Petit Verdot/50% Petite Syrah), 2009 Pinot Noir, 2009 Oreana Barbara, 2009 Oreana Refrosco, and Oreana "Tilly" which was named for Christian�s grandmother, and a portion of the sales from charity events go to the Alzheimer�s Association. The wines range in price from $18.00 to $25.00. 205 Anacapa Street, Santa Barbara, CA 93101, (805) 962-5857. 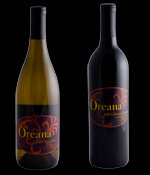 For information visit: www.oreanawinery.com. Start by choosing a wine varietal that you like. Think about the wine and food you may want to pair with it as a whole. Ask yourself what the dominant characteristics of the meal might be. Is it, mild, flavorful, lean, acidic, rich etc. With your findings in mind, select a wine that will keep the flavors in balance. If your wine is mild, pair it with a dish that is milder in flavor and ingredients. If your wine is bolder, pair is with a dish that has bolder flavors and ingredients. Also match the richness of the wine with your dish. For example, if you are eating a chicken dish with a rich and creamy sauce, pair it with a rich and creamy chardonnay to balance the flavors. Similarly, if a dish is acidic, pair it with a wine that may have a higher acidic content. Cleanse the palate with tannin rich wines. Tannins come from many places including the skins from grapes that are used in winemaking as well as in the wood barrels the wines may have been aged in. This flavor helps to strip the fats from your tongue and cleanse the palate for a refined and refreshing drink. In celebration of the London 2012 Summer Olympics, The Lanesborough, London�s preeminent luxury hotel ideally located in Knightsbridge, steps away from Buckingham Palace and Harrods, will be offering a Gold Medal �ring� to award each thirsty, game-supporting guests a refreshing reprieve. Introducing the new, limited-time �Gold Metal Martini� cocktail, served up in a chilled crystal glass with a pure gold powdered rim at the hotel�s award-winning Library Bar. The Gold Metal Martini boasts a sophisticated look but is simple to create. Also interesting to mention to guests during cocktail hour is its historical significance � the ancient Egyptians believed that eating powdered gold made men immortal. So add a touch of theatre to your Olympic-game watching � even from home with this simple cocktail twist! The Gold Metal Martini will be available for order leading up to, and through the games starting June 2012. For more information on The Library Bar, The Lanesborough or to get images of the property, please contact me at 212.377.3593 / Julia.covelli@evins.com. *Gold Powder may be purchased at fine food purveyors. On a small flat plate, stir together 3 tablespoons salt and the lime rind; set aside. Pour 1/4 cup of the lime juice into a shallow bowl and set aside. In a blender, combine cucumber, avocado, tomatillos, grapes, cilantro, Serrano pepper, remaining 1/4 cup lime juice, celery salt, 1/2 teaspoon kosher salt, the hot sauce and black pepper; whirl until smooth; mixture will be slightly thick. Transfer to a 2-quart pitcher; stir in coconut water. Add tequila or vodka to taste, if desired. To serve, dip glass rim in reserved lime juice, then into salt and lime rind mixture. Add ice and fill with Guaca Mary. Thread avocado, grape tomatoes and pickled onions onto toothpick or skewer for garnish, if desired. Summertime childhood memories usually include things like running through a sprinkler with friends or chasing down the ice cream truck as it drove through the neighborhood with its catchy tunes. You may feel too old to run after the ice cream man, but don�t let your desire for a refreshing cool treat on a hot summer day drive away with it, Fairmont Chicago offers the perfect "adult-friendly" frozen summer sensation. Fairmont Chicago, Millennium Park Hotel offers the perfect adult beverage, in a popsicle. Back by popular demand, this year�s winesicles offers some delicious and frozen options for wine lovers. Come to eno wine room inside the Fairmont Chicago, Millennium Park for an adults only sweet summer treat. 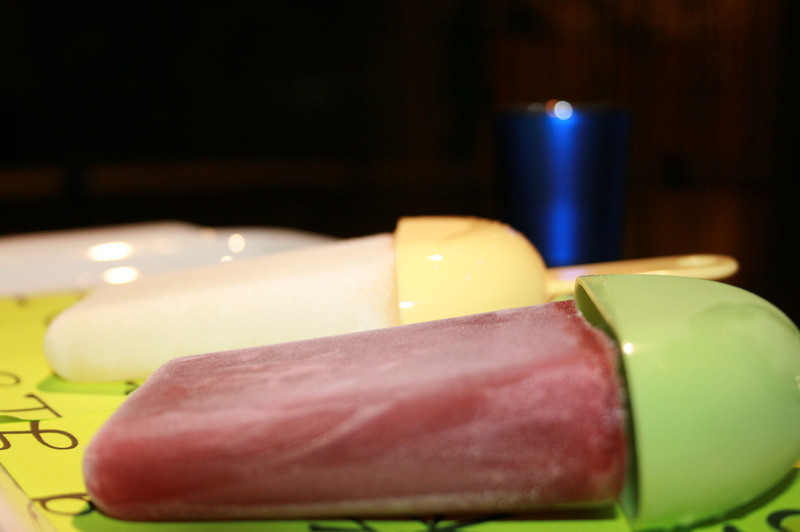 The winesicles mentioned below are available from Memorial Day through the end of the summer. Each one is available for $5.